What’s the comfort level of your Tuscaloosa, AL house? If you’re shivering and layering on the blankets and sweaters in the winter, or you can never seem to get cool in the summer, your HVAC system may need help. It’s a good thing you have Home Comfort Solutions, Inc. on your side. We can handle any of your home’s heating and cooling issues. Our company is owned and operated by a local family that works in the business on a daily business. We are here to make our customers happy and comfortable; we are proud of what we do - please let us show you! Comfort may be priceless, but we work hard to keep it affordable. Call 205-469-0415 today for a free estimate on your heater or air conditioner replacement. Is your heating or cooling unit on its last legs? Reach out to us for a free replacement estimate. Did you know that 87% of homeowners prefer their HVAC technicians to carry some sort of certification? 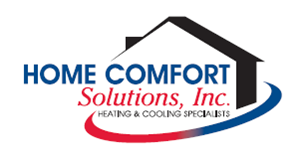 If you count yourself among that group, you’ll be glad to know that Home Comfort Solutions, Inc. carries a North American Technical Excellence (NATE) certification. The NATE certifies installation and service technicians with a knowledge-based test, so you can be sure that we know exactly what we’re doing when we work on your HVAC systems. Speak with one of our HVAC contractors to learn more about our qualifications.